Building on last year’s success, this year’s program will accept 12 startups and will invest up to $30,000 in the teams with the highest potential. Hargeysa(ANN) — Innovat Ventures (www.Innovate.so) pioneer in the Somali start-up space, has just opened applications for the next round of its Hargeisa-based tech accelerator. To date, the programme has graduated 25 startups and has invested almost $50,000 in its graduates. Building on last year’s success, this year’s program will accept 12 startups and will invest up to $30,000 in the teams with the highest potential. The programme aims to support young entrepreneurs in Somaliland and Somalia and grow the nascent start-up ecosystem in the country. 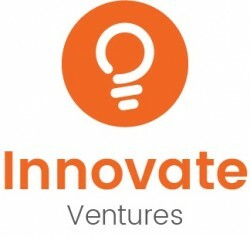 Innovate Ventures is the leading Somali start-up accelerator and technology fund, and works with VC4A (https://VC4A.com) Telesom and Oxfam under the Work In Progress! project to make this programme possible. The Innovate Accelerator is a 12-week programme that comprises mentorship and training by domain experts and entrepreneurs and seed investment for up to four start-ups from the Innovate Ventures Fund. Applications will be accepted online from startups based in Somaliland or Somalia for entrepreneurs under the age of 35. Up to 20 of these start-ups will be selected for a one-week boot camp, during which the commercial viability of the product or service will be espoused and the traction attained to-date will be evaluated. Successful startups will proceed to a 12-week accelerator programme, which will be based in Hargeisa, Somaliland. This group will receive mentoring and training on how to build a commercially viable and scalable technology-enabled business. The culmination of the programme is the Demo Day where the startups receive introductions to the leading companies and investors in the Somali region. The Demo Day will involve the startups pitching to a room full of local and international investors and media. The top four start-ups will receive up to $30,000 in investment from the Innovate Ventures Fund. “Running the accelerator programme for 3 years has been a learning experience for our team at Innovate Ventures”, says Warda Dirir, Co-Founder of Innovate Ventures. “We’re constantly tuning the programme to the needs of the entrepreneurs in this part of the world and overcoming challenges particular to the environment here. This is what I believe makes the Innovate Accelerator, not just the first of its kind, but the best suited programme to startup development in the region”. Alina Vinogradova, Head of Programs and Partnerships at VC4A, adds: ‘For the past three years we’ve been working with Innovate Ventures to bring Somaliland on the map as a start-up hub and angel investment destination. We now see our efforts bearing fruit, with the first-year graduates like Muraasdo building good traction and getting featured on BBC’. The Innovate Accelerator applications are open from April 6th until June 15th. Business workshops and info sessions for potential applicants will be held jointly by VC4A and Innovate Ventures in the week of April 29th as part of the roadshow in Somaliland. You can apply here (https://goo.gl/7Ucdzj) or you can email us for further information on Info@Innovate.so. 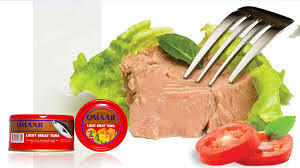 Distributed by APO Group on behalf of Innovate Ventures. Innovate Ventures (www.Innovate.so) is the leading startup accelerator and technology fund in Somaliland and Somalia. Innovate Ventures was created to propel and accelerate technology startups in Somalia and Somaliland, support the next wave of Somali entrepreneurs, and grow the nascent startup ecosystem in the country. Innovate Ventures have run coding camps, incubators and accelerators in the Somali region since 2012. VC4A (https://VC4A.com) is a startup funding platform and a network of entrepreneurs, angel investors, venture capitalists and mentors building game changing companies on the African continent. VC4A supports the growth of Africa’s startup ecosystem by connecting startups to both hard and soft capital through online platform, promoting the culture of angel investment and providing technical support to local accelerators. The goal of “Work in Progress!” is to improve the economic prospects of young men and women in Egypt, Nigeria and Somalia, create jobs and stimulate entrepreneurship by improving the skills of young people, strengthening small and medium enterprises (SMEs) and creating an enabling environment. Alliance partners include Oxfam, VC4A and Butterfly Works. Telesom (www.Telesom.net) is the largest telecommunications company headquartered in Hargeisa, Somaliland. Telesom provides a variety of mobile communication products and services. It offers prepaid call plans, monthly subscription plans, International Roaming, MMS, WAP (over both GSM and GPRS), residential fixed line services, and broadband internet plans.